Passion, urgency, energy, gorgeous melodies and creative lyrics, served by a sharp voice reminiscent of Peter Hammill’s! Paris, France – There’s magic in the music of songwriter/multi-instrumentalist Marcus Linon. Passion, urgency, energy, gorgeous melodies and creative lyrics, served by a sharp voice that sometimes reminds you of Peter Hammill’s. 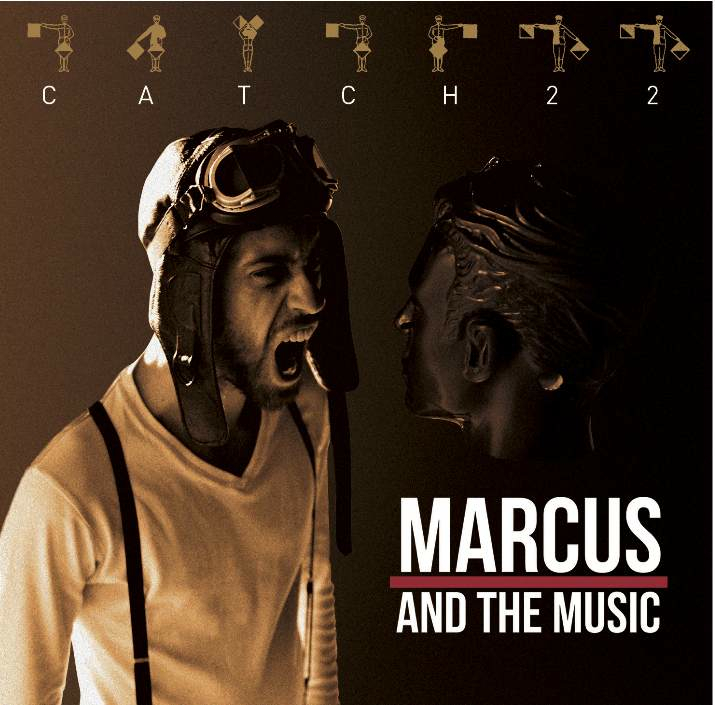 Here are some of the attributes of Marcus, a talented young musician from Paris, whose first album, ‘Catch 22’, is about to be released. Add to this the fact that Marcus plays all the instruments, great multi-layered drumming, incisive guitar riffs, melodic keyboards and you have the foundation for a serious talent to pay attention to. Growing up in a family of musicians, Marcus became a talented drummer before evolving into an instinctive guitarist. His sharp and precise voice perfectly complements songs deeply anchored in a solid rock foundation. Catch 22 has the energy of pure rock and incorporates complex melodic structures veering sometimes towards pop, folk, even east-Indian music. Son of legendary Stella Vander (Magma, Offering), Marcus directed the Magma ‘EPOK’ DVD series, and developed/executes the very sharp light design for Magma’s tours. Marcus’s voice will grab you. His songs are not the kind that you easily forget. They will catch you off-guard, carry you into a passionate universe and sweep you off the floor. Don’t just take my word for it, listen to “We are life and love” with its burning urgency, “Skyzophrenia” or “A boxful of eyes” with their fantastic lyrics just to name 3 titles from an album that you will play again and again, every time an opportunity to discover something new. It is exciting to watch a new great talent on the musical scene. Marcus is one of a kind, the kind of artist who make our lives better and is here to remind us to live a passionate life, with the energy and urgency of youth! The CD will also be available on iTunes, Deezer, Amazon and other online outlets.